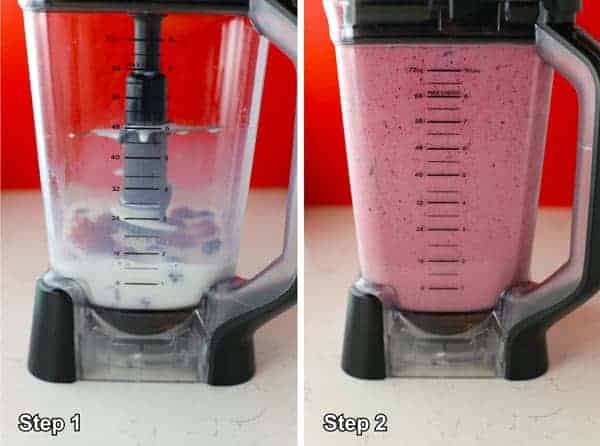 This Easy Triple Berry Fruit Smoothie post was sponsored by Hood as part of an Influencer Activation for Influence Central and all opinions expressed in my post are my own. We are well into the second month of the new year now, how are your new year’s resolutions going? One of my resolutions is to eat healthier and lose weight. I’ve found the best way for me to do that is to reduce my calorie intake while making an effort to move my body more! As you know I love to bake, but I also love being healthy and in shape. I’m learning to find a balance. Treats are great at your birthday or special occasions, but for my every day life, I’m focusing on consuming fewer calories. 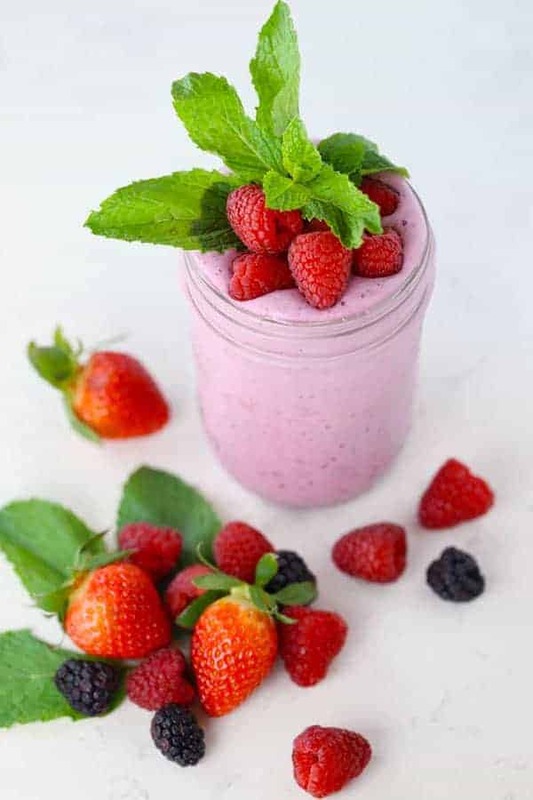 What I love about this smoothie is that it’s so easy to make with just two ingredients. 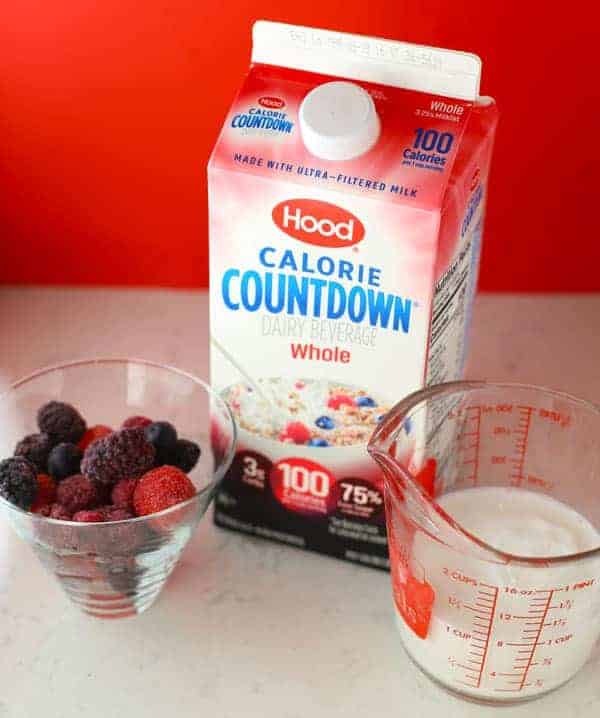 I used frozen mixed berries and Hood Calorie Countdown Whole Dairy Beverage which is just 100 calories and 33% fewer calories than traditional whole milk! Same creamy taste of whole milk with fewer calories, fewer carbs and less sugar! 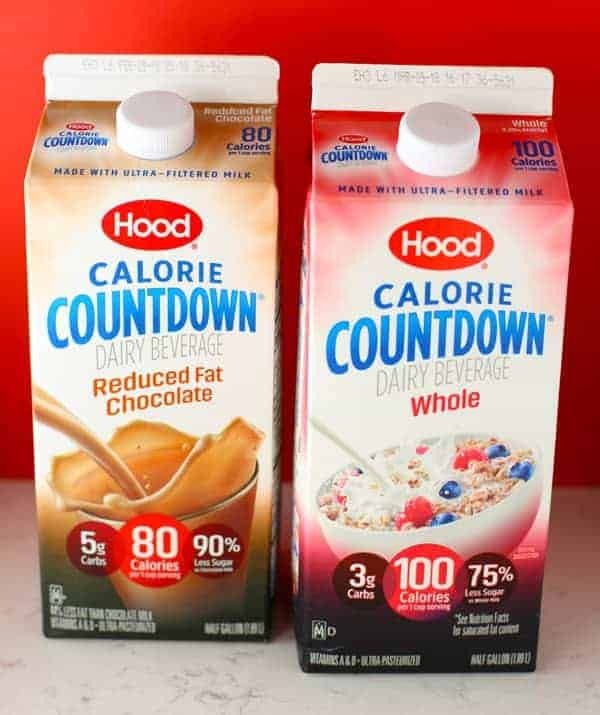 One cup of Hood Calorie Countdown Whole has just 3 grams carbs and only 3 grams sugar (75% fewer carbs and sugar than traditional whole milk)! That’s a win win if you ask me! So what is Hood Calorie Countdown? Calorie Countdown blends ultra-filtered milk with water, cream (and other ingredients) for a delicious and creamy taste while delivering fewer calories, less sugar, and fewer carbohydrates than regular milk. Another thing I love, Calorie Countdown is made with milk from farmers who pledge not to use artificial growth hormones which is very important to me and my family. 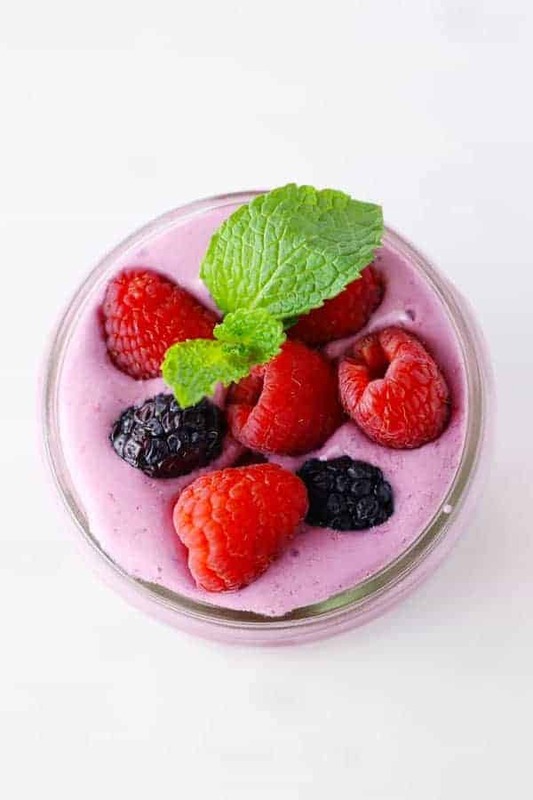 All you need to make this Easy Triple Berry Fruit Smoothie is frozen mixed berries and Hood Calorie Countdown Whole Dairy Beverage. 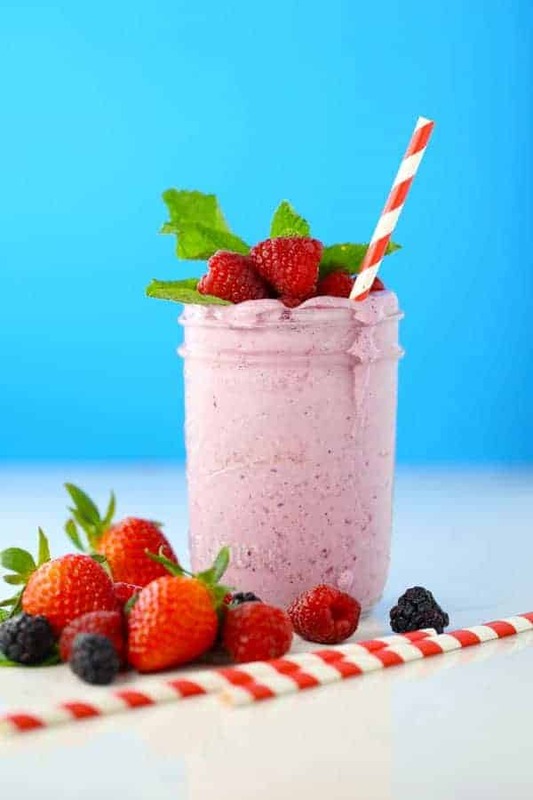 Place one cup of frozen mixed berries and one cup Hood Calorie Countdown Whole Dairy Beverage in a blender. Cover and blend until smooth. If you like it a little sweeter, you can add some low calorie sweetener such as Stevia. Garnish with fresh berries and mint leaves, if desired. Good news! I’ve got a coupon for you. 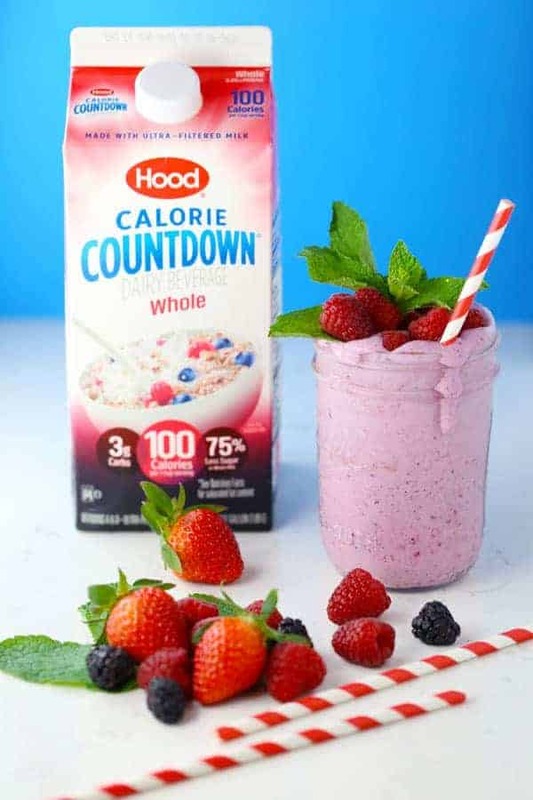 Click here for $0.75 off your favorite Hood Calorie Countdown! 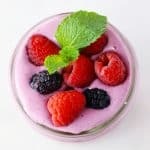 I used Hood Calorie Countdown Whole for this Easy Triple Berry Fruit Smoothie recipe but it also comes in 2% Reduced Fat and 2% Reduced Fat Chocolate. It was easy to find in the Dairy section at Walmart! 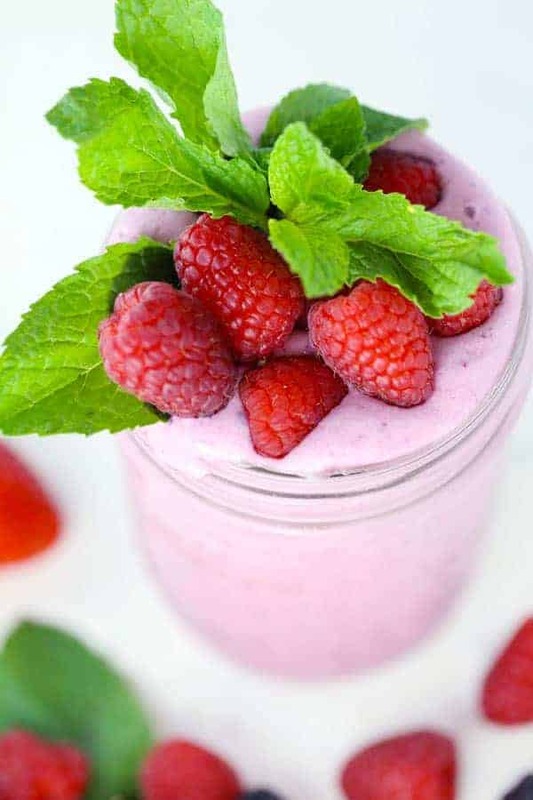 I hope you’ll make this Easy Triple Berry Fruit Smoothie. Let me know how you like it in the comments below. I love hearing from you! Watching your waistline? You might also like Skinny Mini Chocolate Muffins or Skinny Blueberry Cheesecake Bars. Click here for all of my Skinny Recipes.